The defensemen are big, strong, fast and more than a little bit nasty. Getting past those guys with limbs intact is tough enough. Now try beating some of the Midwest’s most athletic and technically sound goaltenders. Yes, Upper Midwest High School Elite Hockey League games often can become back-and-forth goal-scoring festivals. No, the points do not come easily. 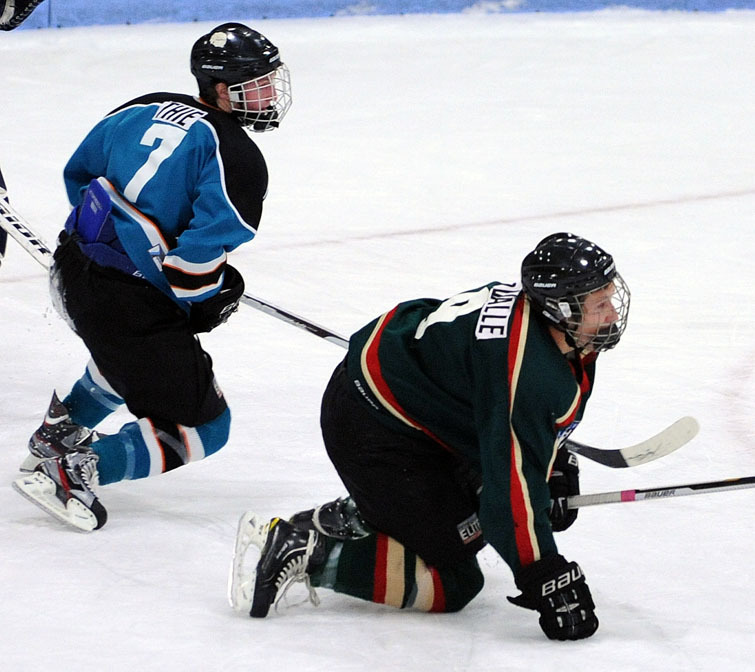 At 5-foot-7, 143-pounds, Thie, who played in the lower-level Midwest Elite Prep Development League last fall, requires every ounce of his speed and savvy to navigate the Elite League’s forest of redwood-sized defensemen. "There's always a lot of hitting, but I like that even though I'm a little guy," Thie said. Through 12 games, Thie has six goals and four assists. Breck’s Grant Opperman and Benilde-St. Margaret’s Grant Besse, with nine goals apiece, are the only Team Northwest players with more goals. Thie added a goal and an assist to his scoring ledger on Tuesday, Oct. 5, in Team Northwest’s 7-4 loss to Team Northeast at New Hope Ice Arena in New Hope. “Points don’t matter, it’s all about how the team is doing,” Thie said. Team Northwest has 17 points, four behind league-leading Team Southeast and two in back of Team Northeast. 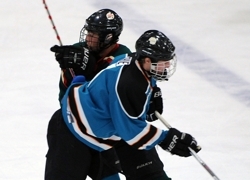 Last winter during the high school season, Thie scored 10 goals and added 15 assists in 24 games to rank third in scoring for Hopkins which went 11-15-0, including a 5-1 loss to Minnetonka in the quarterfinals of the Section 6AA playoffs. Counting Thie, the Skippers have nine players who have seen action Elite League action this fall, including defensemen Jim and Joe Schuldt and Tom Vanelli. Minnetonka boasts three more veteran defensemen in seniors Michael Prochno, Steve Johnson and Jack Teal. Thie said he doesn't know where he will fit among the Skippers’ lineup of forwards, six of whom have seen Elite League action. “There has been talk that I could be on a line with (Vinni) Lettieri and (Max) Coatta, but I’m not sure what will happen,” he said.